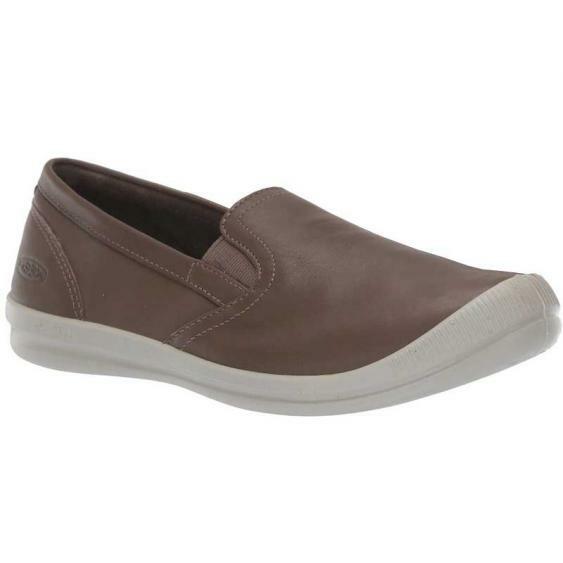 Get effortless style with comfort that won't quite with the Keen Lorelai Slip-On. This stylishly simple women's slip-on features buttery soft leather uppers with side goring for easy entry. Inside, a super soft lining and a Luftcell PU footbed will feel great against your feet and will offer a healthy interior environment. A Luftcell outsole offers weightless traction so keep going all day long with the Keen Lorelai Slip-On.